The Vapheio cups. 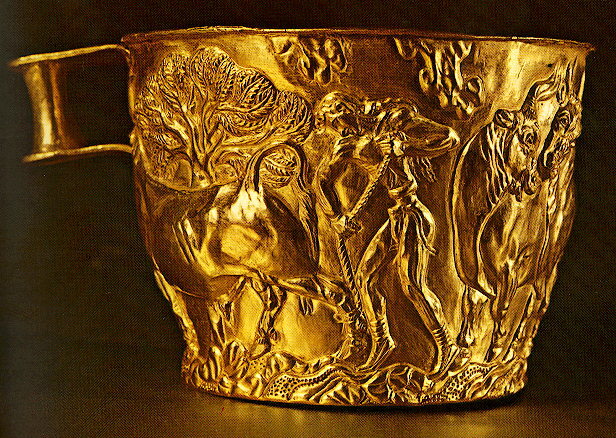 Pair of gold cups found in the tholos tomb of Vapheio in Laconia. The releif representations depict scenes of bull-chasing. They are unique masterpieces of the Creto-Mycenaean metalwork, dated to the first half of the 15th century B.C. Inv. no. 1758, 1759.